Mayor Vicente Borres Flores, Jr.
Mayor Vicente Borres Flores, Jr. grew up meeting people from all walks of life since his parents were both physicians. Though privileged than most kids, he grew up hanging out with neighboring kids whose parents had to struggle just to send them to school. He served as Sangguniang Bayan Member from 1998 – 2004 and as Vice Mayor from 2004 – 2007. When he became mayor in 2007, this memory of his childhood inspires him to put up a scholarship program for indigent kids (elementary and high school). The first batch of beneficiaries were the public utility jeepney cleaners who were not going to school because of poverty. Dubbed “Very Friendly Iskolar ng Bayan”, this project started in 1998 which provides school supplies and uniforms to the identified beneficiaries including their miscellaneous fees. During the first year of this project there were 18 scholars. For this school year there are already 30 scholars. This project supplements the existing Scholarship Program of the LGU that subsidizes the schooling of college students. The Municipality has a night class in high school for students who work during the day — housemaids, houseboys, trisikad drivers, etc. Along with the scholarship project, the people of Oton saw the realization of other concerns close to Mayor VF’s heart. One such concern is the environment. He created the Integrated Solid Waste, Water, Air Management Program (ISWWAMP) that promotes waste segregation in schools and households and supports the existing Clean and Green Program of the government. One notable project under the ISWWAMP is the production of vermi compost which encourages the use of organic fertilizer by the farmers. The production of compost complements Mayor VFs other concern: food self-sufficiency. He encouraged the proliferation of school gardens that uses organic fertilizer by giving cash incentives to schools with winning gardens. He allotted a budget for the purchase of seeds and garden tools which he gives away to the schools every year. Then on the area of peace and order, Mayor VF goes over the daily records of police blotter reports to keep track of the peace and order situation in the Municipality. He also intensified the implementation of “Curfew for Minors Ordinance” and other drug related activities by issuing closure orders to operators of illicit pubs and beerhouses. He issued an Executive Order Creating the Task Force Sagip Menor which is composed of the Administrator, MSWD, MHO and PNP personnel to regularly monitor videoke bars and beerhouses who employ minor GROs and at the same time inspect the health cards of the GROs. Finally, appreciating the challenges posed by natural and man-made calamities and the frequency of disaster occurrences, Mayor VF strengthened the disaster management and resource capabilities of the municipality by recruiting volunteers in disaster relief operations. 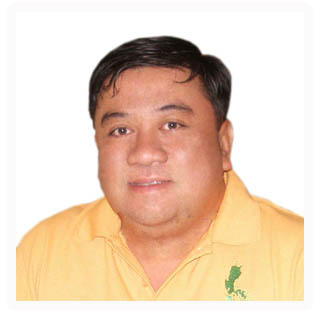 He provides assistance to barangays who are into pro-active disaster activities such as dredging of rivers and canals. In the aftermath of Typhoon Frank, the Local Government Unit of Oton helped supply water to the badly-affected areas in Iloilo City. Because of the exemplary performance of his administration, the Local Government Unit of Oton was able to garner several awards. In 2008, it was awarded “EXCELLENCE IN SOCIAL SERVICES” by the DILG. In 2009, it was awarded the “THE BEST PERFORMING LGU for 1st to 3rd CLASS MUNICIPALITIES”—Regional Level, the highest award given by DILG. At the same time, it also garnered the Excellence Award in Economic Development and first runner-up in Social Services, nominee on the Search for the DA Regional GAWAD SAKA, Agricultural – Achievers 2008 (Farmer Organization) last May, 2008, 8th Most Outstanding Municipality in the early submission of Statement of Income and Expenditures in the entire Province of Iloilo for calendar year 2007, 5th Outstanding Municipality in the collection of annual fixed tax for delivery trucks and vans in the Province of Iloilo for calendar year 2007, 5th Outstanding municipality in the early submission of Statement of Receipts and Expenditures in the entire Province of Iloilo for Calendar Year 2008 given last November, 2009.